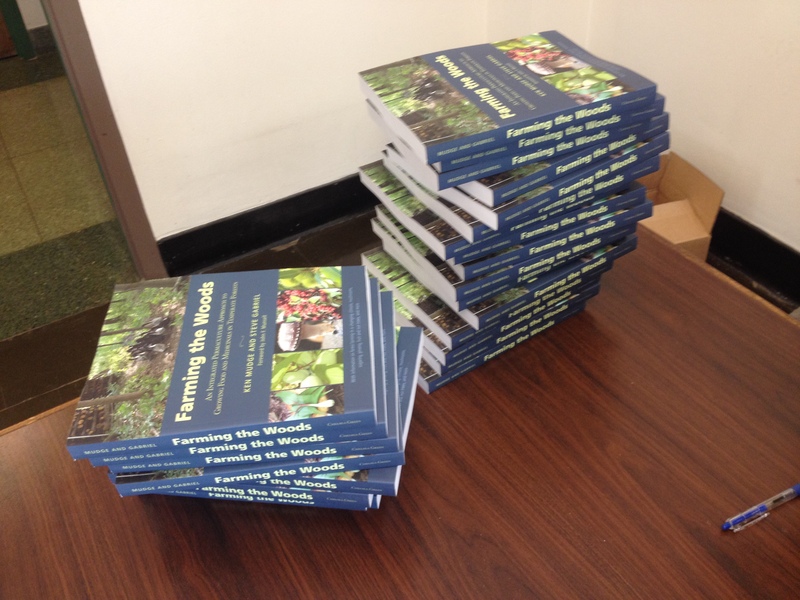 Steve recently discussed forest farming with Diego Footer of the Permaculture Voices Podcast. In the discussion, he describes the difference between forest gardening and forest farming, the permaculture perspective in relation to forest management, examples of applying forest observation to design, climate change, and a number of crops including chestnuts, mushrooms, maple syrup, pawpaw, and more. Steve is honored for the opportunity to present more on this topic at the upcoming Permaculture Voices Conference in San Diego, CA from March 4 – 8, 2015. Check out other events Ken & Steve will be attending in 2015, view media including articles, video, and audio, and purchase a signed copy of the book directly from the authors. « Pre-Order the Book now!